So, how many “posts” does your organizational web site have? Think of it this way – posts are content of limited time value – not valuable enough in the long term to put in the site navigation as a page. 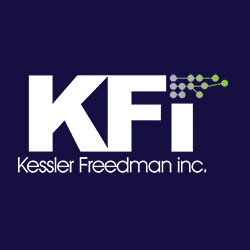 I took a look at our Kessler Freedman web site, and there were almost 300 sitting there, available to anyone who has the proper pathing to get to them, either by search engine or by pulsing through several pages and posts on our site. And if I take a look at those posts, and look at Google Analytics, it is easy to see that many of them are not doing us any good at all being available any more – nobody is visiting them. There’s a variety of reasons – some are just plain outdated and really need to be culled from the public site, and we’ve begun doing that. There is no reason to read a 2010 post on How To Create A Facebook Business Page if there is nothing unique to it. And it is outdated. So we say goodbye to that work and trash it. If you are paying for a service, then you are the customer. If you are getting a service for free, then you are what is being sold. But I digress. The point of this post is that mature web sites that have been around quite a while can develop a lot of old public posts that may actually be counterproductive to your business goals. They can provide incorrect information, or they can seem so dated that anyone who finds your site through that post first decides to leave because of the lack of quality of the post. Clean out the chaff. Re-emphasize the product. Represent who you are today.